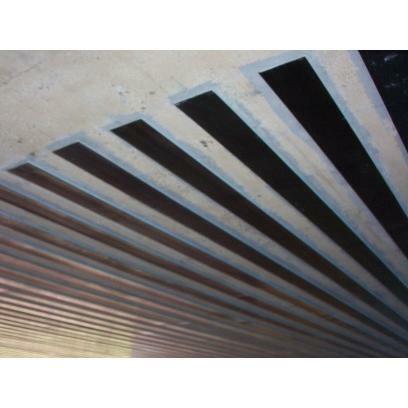 Structural retrofitting of reinforced concrete beams using carbon fibre reinforced polymer reinforced concrete structures often have to face modification and improvement of their performance during their service life. The main contributing factors are change in their use, new design standards, deterioration due to corrosion in the steel caused by exposure to an aggressive environment and accident events such as earthquakes. in such circumstances there are two possible solutions: replacement or retrofitting. Full structure replacement might have determinate disadvantages such as high costs for material and labour, a stronger environmental impact and inconvenience due to interruption of the function of the structure e. G. Traffic problems. When possible, it is often better to repair or upgrade the structure by retrofitting. in the last decade, the development of strong epoxy glue has led to a technique which has great potential in the field of upgrading structures. Basically the technique involves gluing steel plates or fibre reinforced polymer (frp) plates to the surface of the concrete. The plates then act compositely with the concrete and help to carry the loads. frp can be convenient compared to steel for a number of reasons. These materials have higher ultimate strength and lower density than steel. The installation is easier and temporary support until the adhesive gains its strength is not required due to the low weight. They can be formed on site into complicated shapes and can also be easily cut to length on site. this work is a study of the behaviour of concrete beams retrofitted with carbon frp (cfrp), using experiments and finite element modelling. Established in the year 1987, at Mumbai, (Maharashtra, India), we, “Nickunj Eximp Enterprises Pvt. Ltd. ”, are a prestigious business entity engaged in manufacturing, distributing and supplying a pristine assortment of Carbon Fibers/Fabric ,Aramid Fiber/Fabric, Silica Fibers/Fabric, Basalt Fiber/Fabric, Quartz Fibers/Fabric,S2-Glass Fiber/Fabric, Hollow Glass Fiber ,Tapes, Tubes, Rods, Plates,Sleeve, Fabric Mesh, Sheets etc. Carbon Composites, Carbon Prepregs, Carbon Components, Graphite Products ,Epoxy Resin, Reinforce Material, Protecting Materials etc. EDM, Ceramics & Refractory Material, Graphite Products, Insulation Material, Thermal Insulation Fabrics, etc. Offered array of is manufactured under the strict supervision of expert professionals by following international quality norms & standards. Further, only superior-grade raw material which is sourced from authentic vendors and modern machinery & latest tools are utilized during the manufacturing process. Once the goods are manufactured, these are thoroughly tested at our well-equipped testing laboratory to assure authenticity, flawlessness & zero-defect. Additionally, to suit the variegated demands of the customers, we offer these products in varied sizes, lengths, thicknesses & specifications, which can also be customized as per the specific requirements.